The Paper Anniversary: Having a hard time coming up with a “paper” gift for your first anniversary? Here are seven great ideas to get those wheels turning! It’s wedding and anniversary season, and even if yours has already passed, there’s nothing wrong with planning ahead! Anniversary gifts can be hard, especially if you’re following the traditional guide for what you need to give each year. Did you know that that list originated in the Middle Ages in the Germanic region of Europe? Though it only recognized the 25th, 50th, and 75th anniversary, it set the foundation for centuries of other cultures to fill in the blanks. Believe it or not, each and every symbol/gift has a meaning behind it; they didn’t just throw steel into the mix for no reason. Many cultures also believe that the gifts are a symbol of luck and that they hold certain blessings for the couple in the coming year. See, this stuff is way cooler than just some list someone put together. I also find that rather than just purchasing something your spouse would like, it requires you to get creative, think outside of the box and put some effort in; you know kinda like a real marriage. It doesn’t necessarily mean you have to give your spouse a sheet of paper or a log, use your own interpretation! I personally love the challenge! And I’ve done a lot of research over the years and decided that I wanted to share some of the ideas I’ve come up with and discovered in my journey. Books: For our first anniversary, Matt got me a signed copy of A Song of Ice and Fire, it was definitely the PERFECT paper gift for me! 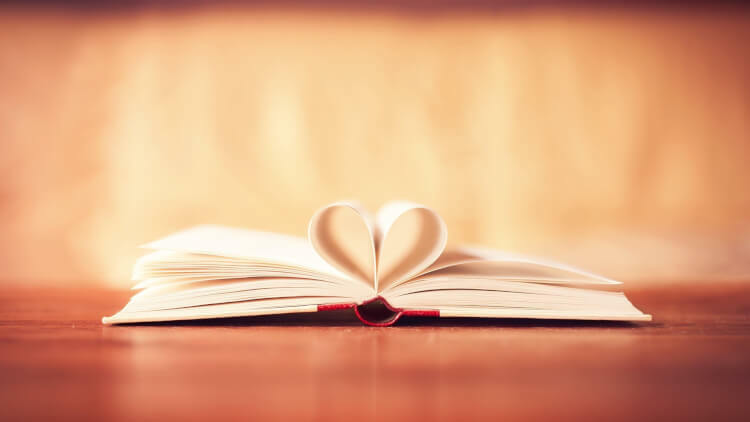 You don’t have to do a signed book, though, looks for a special edition of your spouse’s favorite book, maybe a nice leather bound one (Hey, there’s an idea for year three)! Don’t forget to like T.Dow Photography and Tess J. Photography on Facebook to see more of their gorgeous shoots! 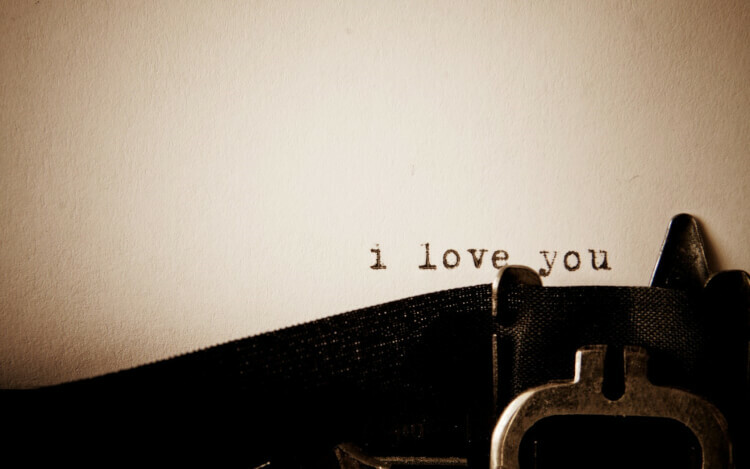 Write: If you love to write, start preserving those memories in print and write your love story. This is a very low-cost gift but also time-consuming. Write your story, how you met, the time in between meeting and marriage, and let’s not forget that first year! Be sure to leave it open-ended because there’s going to be so much more to tell! Or better yet, write the first chapter and spend the next year writing the rest together. Road Trip: I know what you’re thinking, not exactly paper, but there are ways. Surprise your spouse with three envelopes. #1: A quick message with a list of what to pack the day before. 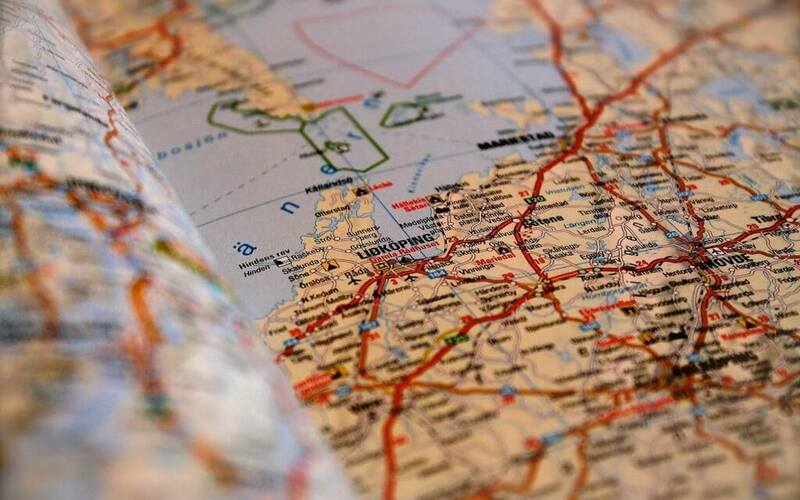 #2: A map and directions when you get in the car, have your loved one guide you to your destination. #3: A love note for when you get there! Art: I don’t know about you, but I swoon over simple art pieces. 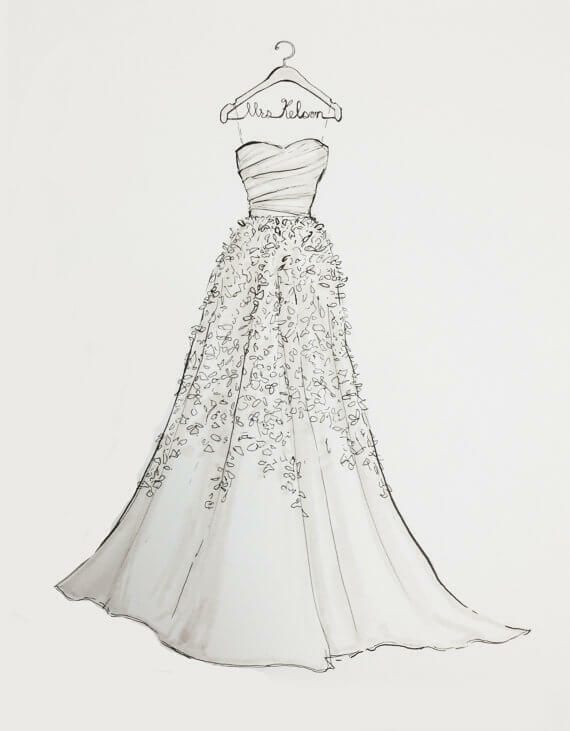 These gorgeous customized wedding dress illustrations from Draw the Dress are a great gift for your wife. Finish it off with a nice mat and frame, and you have a sentimental keepsake that will hang in your home for years to come. Event Tickets: So this isn’t my ticket, I found it here. However, Matt and I actually went to this concert on the way home from his best friend’s wedding and our trip to the grand opening of The Wizarding World of Harry Potter in Orlando. Tickets are paper and events are memories, so treat your spouse to a day or night out at a concert, sporting event, or whatever else you can buy tickets for these days! It’s the perfect paper anniversary gift for making new memories close to home! Airline Tickets: Looking to splurge? Spend you paper anniversary somewhere exciting! 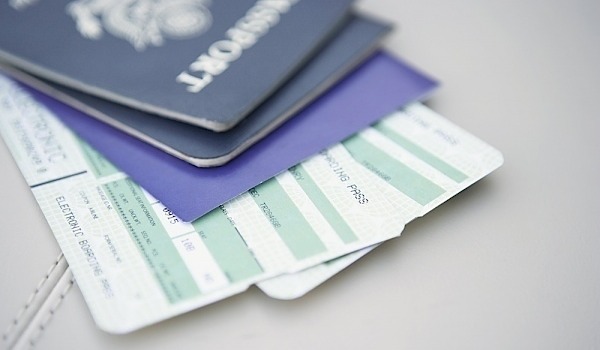 While still technically paper, airline tickets can take you anywhere you want to go… better yet, pull out that dusty “paper” passport and really get your travel on! Well, I hope I helped give you some ideas for your first wedding anniversary – the paper anniversary! Already celebrated year one? What did you do for a paper gift? Thank you for the great ideas! I just was asking around last weekd for ideas for my first anniversary with my husband. I love the road trip idea. Great post. Thanks so much, Amanda! It can be so hard to come up with ideas and I feel like I always think for the best ones after the fact! I hope you have a wonderful anniversary!